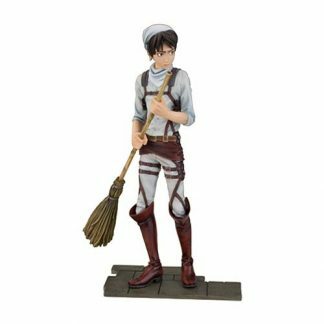 From the popular Attack on Titan anime and manga series comes this Eren Jaeger Cleaning Version Statue. Eren Jaeger comes with his broom in hand and stands 6 1/2-inches tall. Comes with tile floor display base. Ages 15 and up.